Did you watch the Super Bowl? I was in a room with it on but really I only paid attention to the commercials. Because that's what it's all about right? Commercials and food. Especially desserts. And while there were lots of cute football themed treats my personal favorites from Sunday were these Peanut Butter Lover's Cake Mix Cookies. 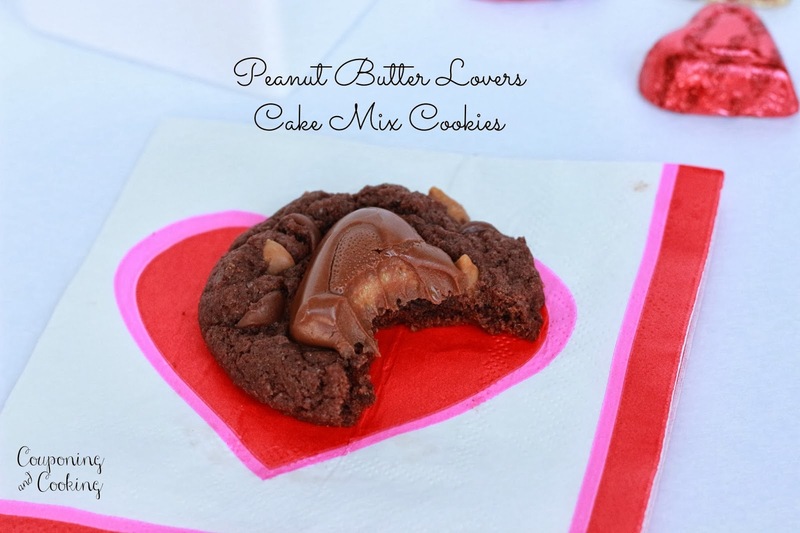 Talk about the perfect combo of peanut butter and chocolate. (which is a perfection in and of itself). 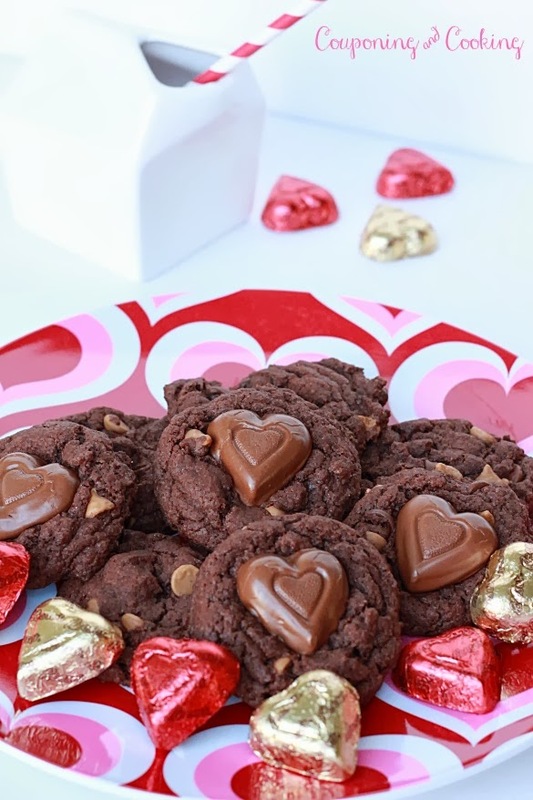 These cookies start out with a traditional cake mix cookie base using Devil's Food cake mix, add in some peanut butter chips and top with a melty Reese's heart and you have what one of my fellow game watchers called "the absolute best cookie I have ever put in my mouth." This same friend is someone who I would consider to have significant will power when it comes to restraining herself around desserts. (And I mean that in the best way possible). Unlike me, she can usually just have one cookie or she opts for fruit instead of cake. So when she went back for seconds, thirds and possibly even fourths, I knew that I wasn't just being biased in saying these are amazing. 1.) 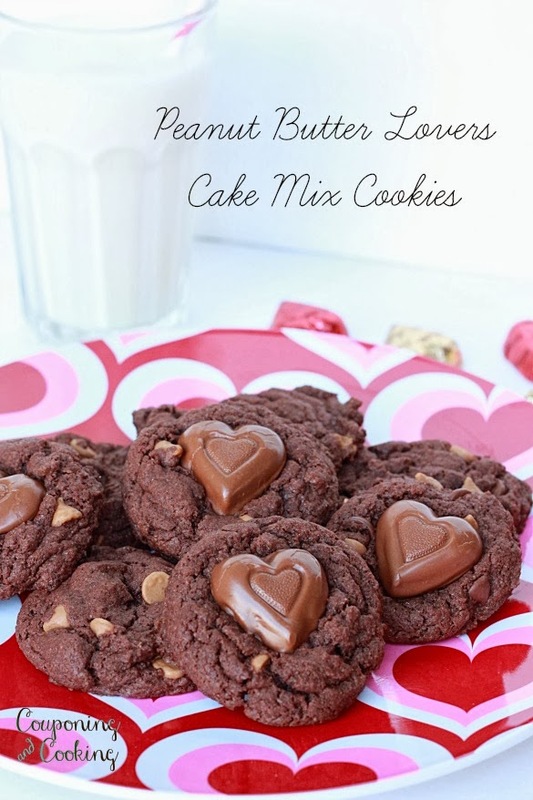 Mix together the cake mix, eggs, oil and baking power until a cookie batter forms. 2.) Stir in the chocolate/peanut butter chips. 4.) Bake for 6 minutes at 350 degrees. 5.) 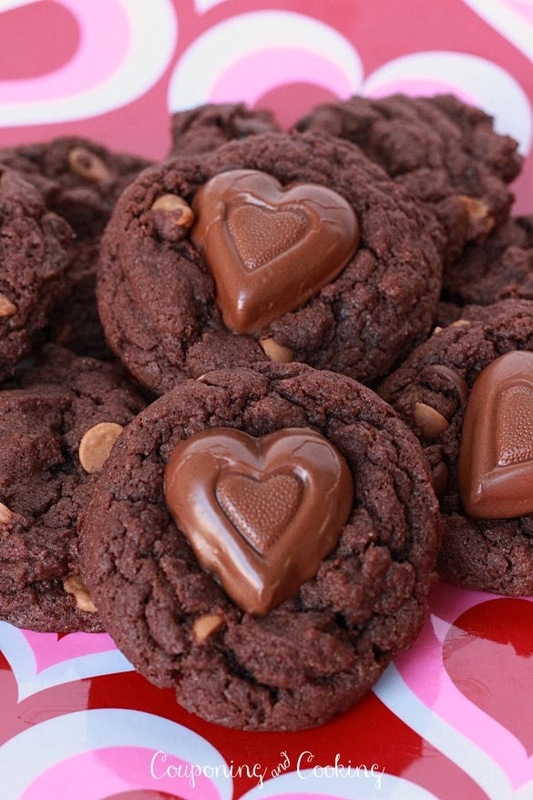 After 6 minutes remove the cookies and gently press an unwrapped Reese's heart (or cup) into the center of the cookie. Finish baking at 350 degrees for 3 more minutes. The Reese's will melt completely if you leave them in the oven longer than that. 6.) Let cool and enjoy! 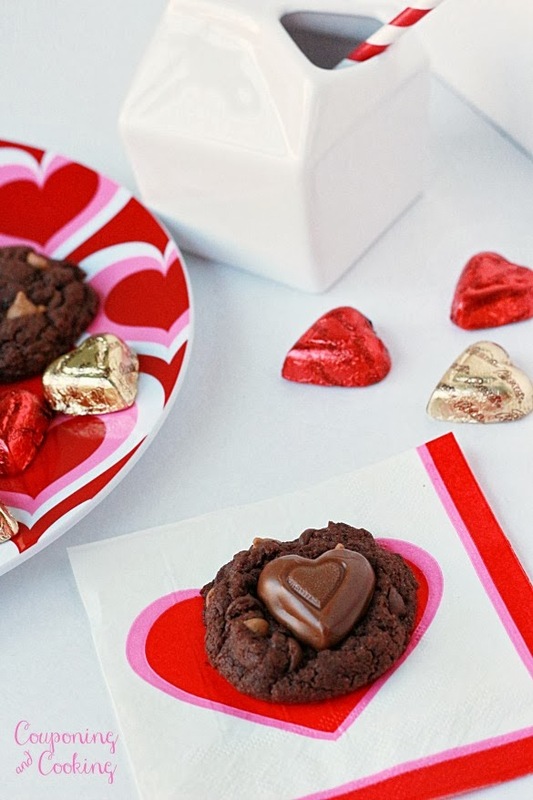 Looking for more Valentine's Day fun? 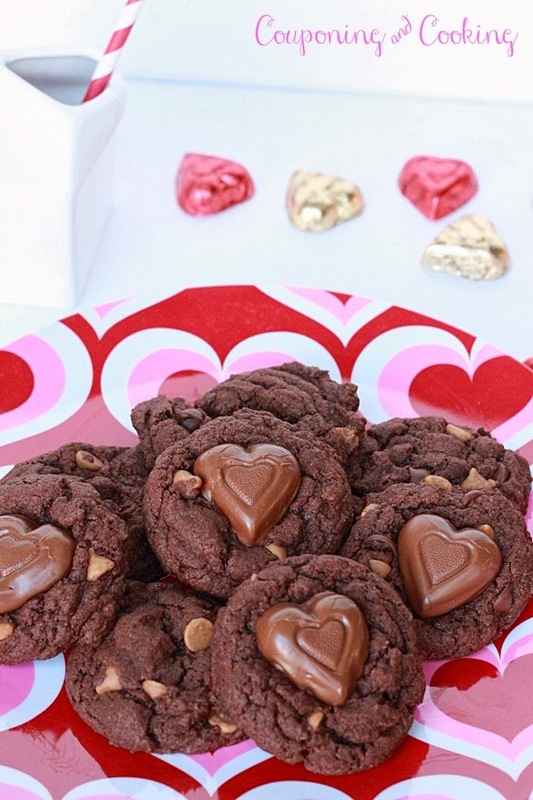 Check out my Valentine's Day Pinterest board!